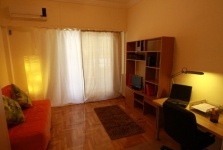 Accommodation while studying in Greece shouldn’t worry you. One of the advantages when choosing to study in Greece is that the cost of living is low and incomparably cheaper than other European studying destinations, giving you the opportunity to save extra money for travelling. 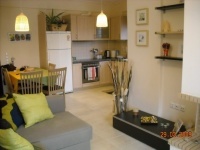 The monthly rent in the centre of Athens or Thessaloniki ranges between 250-350 Euros per month depending of course on the area of the city you choose to stay. The International Office collaborates with various local agencies and brokers and can assist you in making the best choice for your standards. Accommodation for International Students The Student Affairs Office cooperates with two private student accommodation halls which are located near Mediterranean College. The students do not even need to use transportation since they can reach the college on foot. In both of the above Accommodation Halls there is an exclusive student service regulation ensuring this way a pleasant and secure stay of students in Athens. For those who wish to rent their own flat or studio in another area, the Student Affairs Office can assist you in doing so. Student Affairs Office gathers various ads, contacts the landlord, examines each case, organises meetings with the landlords and suggests the best options to the interested student. In the framework of the annual Social Responsibility Programme, Mediterranean College works on a special project in order to offer free accommodation to its International students that apply for each academic year including the students who have been granted a scholarship. The only responsibility of the students will be to cover their water and electricity bills which normally come to 20-30 euros per month. For all other students who will not get hold of a free room at the college’s accommodation halls, the International Office provides its support for the selection of an adequate flat or apartment to stay during your studies at MC.